Starting your freshman year at college is an exciting time, but can also feel a little overwhelming. For most new students, this marks the first time of living on your own and taking responsibility for your finances, living situation, and more. Follow these tips below to make the transition as smooth as possible. When selecting a roommate, consider a few important things about his or her lifestyle. If you are a bookworm who wants a quiet space to study and do homework, steer clear of living with someone who wants to experience more of the social aspects of college. It can also be tough to live with a night owl if you are an early riser who goes to bed early to prepare for the next day. You might also want to discuss cleaning expectations, sharing groceries, and meal preparation before moving in to make sure you are both on the same page. For some students, getting up for class in the morning can feel like a chore without mom or dad available to help drag you out of bed. You may want to start your college experience with a schedule that won’t start too early. Even if you have a major in mind, start by taking a range of different subjects so you can figure out what you like best. There are so many more class options in college than you experienced in high school, so you may find that something you didn’t even consider turns out to be your strong suit. You probably know the basics of what you need to buy, such as pens, pencils, and paper. However, when you are taking notes in class, it will probably be easier to use a laptop or tablet to get all of the information down. You will also need a computer or mobile device to write papers and complete other tasks, and many schools rely on online systems for submitting assignments and taking quizzes and tests. 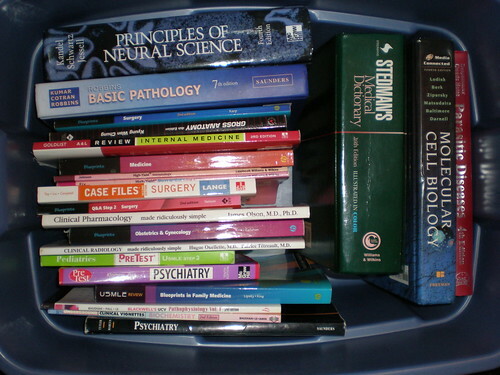 Textbooks often represent one of the largest expenses for students in college, so finding deals on textbooks is always helpful. At Campus Books you can shop for used books or even find books to rent and return, helping you save money for the semester. After you finish the class, you can also list your textbooks for sale on the site to make a little extra money for the next round of textbook shopping. When you’re in charge of your time, you may realize that it’s easy to become distracted during study time. You can find apps for your mobile device or computer that help keep you focused, such as a plugin that blocks access to certain websites where you tend to waste time. You can also pick up a planner or use the calendar on your phone to keep track of due dates and avoid missing deadlines. As you prepare to start college, make it a great experience. By finding ways to save money and get organized, you’ll start your freshman year off on the right foot.